7-Way connector is designed for use on vehicles with Trailer Lamp-Out sensors - Audi, Mercedes-Benz, and Volkswagen vehicles with the factory tow package - when towing a trailer equipped with LED lights. 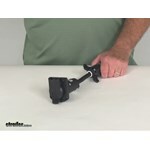 Call 800-298-8924 to order Curt custom fit vehicle wiring part number C57003 or order online at etrailer.com. Free expert support on all Curt products. Guaranteed Lowest Price and Fastest Shipping for 7-Way Trailer Adapter for VW, Audi, and Porsche Towing Trailers with LED Lights. Custom Fit Vehicle Wiring reviews from real customers. 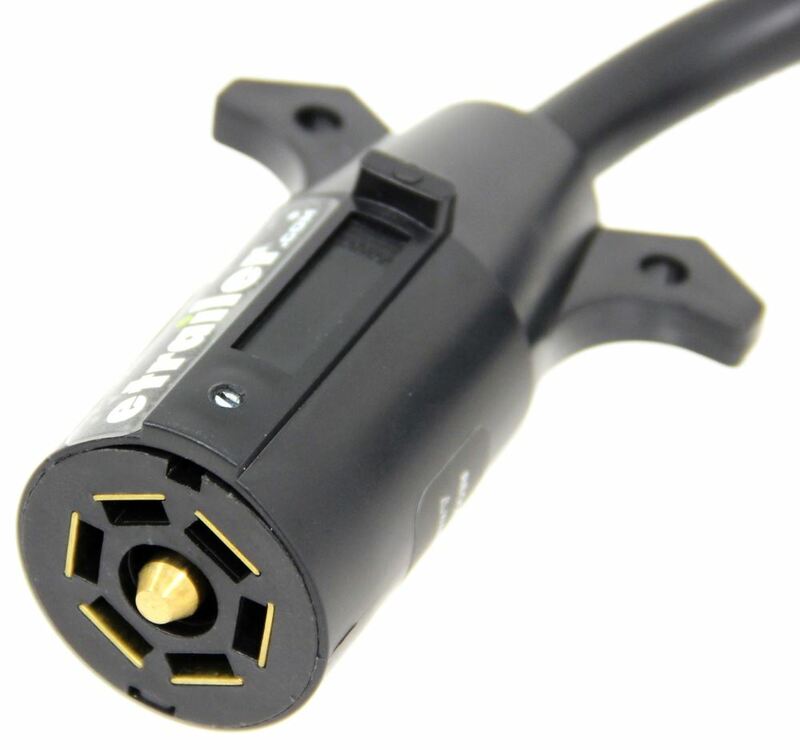 7-Way connector is designed for use on vehicles with Trailer Lamp-Out sensors - Audi, Mercedes-Benz, and Volkswagen vehicles with the factory tow package - when towing a trailer equipped with LED lights. Today we're going to review part number C57003. This is the Curt 7-Way to 7-Way LED Trailer Light Adapter for Audi, Porsche and Volkswagen. This is a custom fit adapter, this is designed to fit the 2007 to 2012 Audi Quattro, the 2004 to 2012 Porsche Cayenne and the 2004 to 2012 Volkswagen Touareg. Basically what this does is right here we'll plug into your existing 7-way on your vehicle. Then it provides this new 7-way that will work with LED trailer lights. If you plug in your trailer and it has LED lights, this will actually contain, right in here they do put resisters, load resisters. What that will do is simulate the increased power draw so the vehicle thinks there is incandescent lights on the trailer. Then you won't get the lamp bulb out reading that usually flashes on the dash of those vehicles. There is no splicing required, just a plug in piece. That should do it for the review on part number C57003. 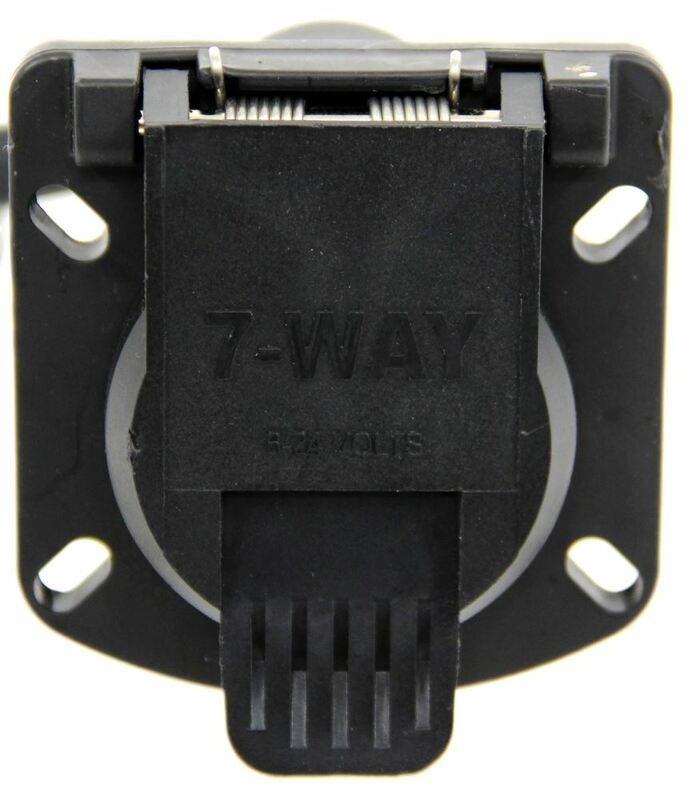 The Curt 7-way to 7-way LED trailer light adapter for Audi, Porsche and Volkswagen. .
Order: RelevanceNewestRating - High to LowRating - Low to High 7-Way connector is designed for use on vehicles with Trailer Lamp-Out sensors - Audi, Mercedes-Benz, and Volkswagen vehicles with the factory tow package - when towing a trailer equipped with LED lights. 1 yr later - still working great wno issues whatsoever. The Curt 7-Way Trailer Adapter # C57003 is designed to be used on Volkswagens, Audis, and Porsches but we have seen some success on other vehicle makes. I can't say for sure but it might solve your issue. The adapter uses load resistors which creates more power draw. Another possible solution is to install load resistors # P230004A-2. We have just what you need. For a 7-way adapter designed for German vehicles towing LED lighted trailer to prevent the bulb out error message we have the part # C57003. For an adapter that plugs into a 7-way and then provides a 4-way we have the part # TR20141. We do offer wiring adapters for import vehicles to help them properly operate the LED lights on a trailer. 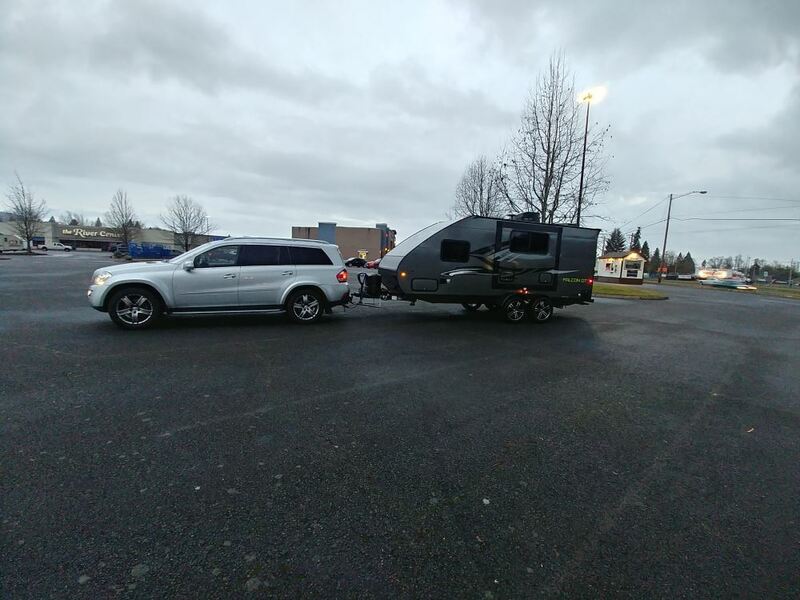 If both the vehicle and trailer have a 7-way RV style connector then you can use part # C57003 from Curt. If the trailer has a 4-pole flat connector then instead you'll use # TR20141 which provides that connection. Both of these require a 7-way socket on the vehicle, like the one shown in the linked photo. We do offer a replacement 7-way/4-pole trailer socket to replace the factory-installed part on your 2008 Toyota 4Runner. Hopkins offers their Connector with Mounting Bracket Kit, part # HM43374, which is a direct factory replacement. This socket installs using the two included connectors which match those on the vehicle. The linked photo illustrates those two connectors on the replacement 7-way. We have an adapter that is designed for exactly what you need. 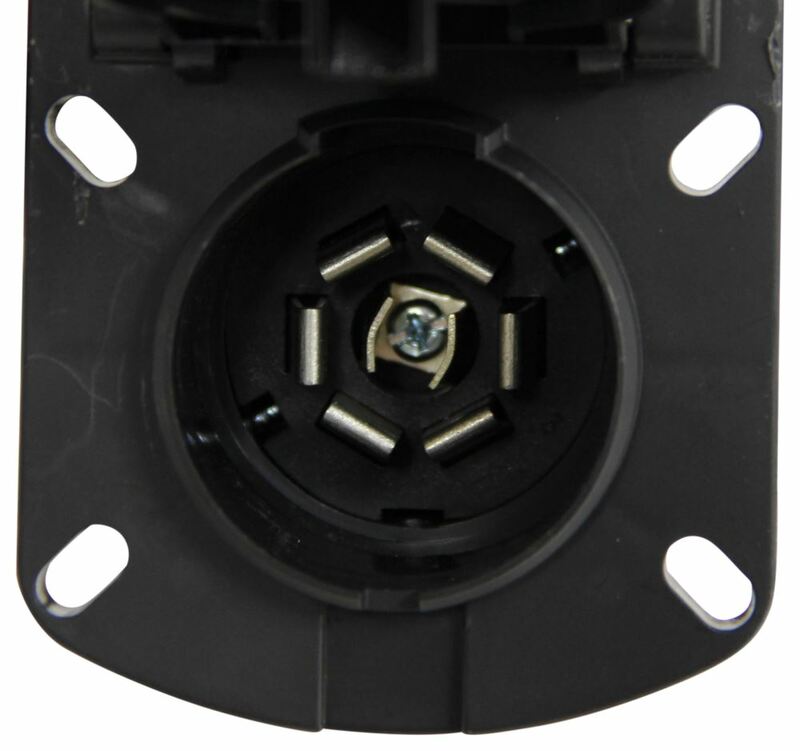 The Curt 7-way adapter part # C57003 is a 7-way that has diodes built into the taillight circuits so that your Land Rover will sense the needed voltage for it to register that a trailer is connected. We have what you are referring to. For a 7-way to 7-way adapter you'd want the part # C57003 or to go from a 7-way to a 4-way you'd want the part # TR20141. Both of these have the needed resistors in them so that your trailer with LED taillights won't give your Audi issues. This is a well-known problem with the Audi vehicles and this type of adapter is what is required to fix it. Yes, you can use the Curt 7-Way to 7-Way adapter # C57003 with your 2014 Volkswagen Touareg. It can actually be used with any vehicle that has a 7-Way. The vehicles listed were the ones that this adapter was originally created for because that is when the issue with LED lights and bulb-out sensors became apparent. The only vehicles where LED trailer lights becomes an issue are German vehicles. Your 1997 Ford F-350 would not have any problems at all. For those vehicles we have the part # TR20141 which plugs into a 7-way and provides a 4-way for the trailer or part # C57003 which has a 7-way for the trailer and for the tow vehicle. Your other option is to install load resistors like part # P230004A on the turn signal/stop circuits and on the running light circuit.